Benefits of CCTV and forward facing cameras are by now well known: they save costs by helping keep insurance claims down, dissuade vandalism and help prove blame for accidents amongst a plethora of other advantages. However, it can be a complicated area in terms of working out what system is best for what application. Chris Peat contacted a number of CCTV and camera system suppliers to get some helpful insight into this area. Henry Heylen from Timespace Technology said there are five levels of image quality available with his company’s products. The third of these is TfL’s standard specification for recording, with the next two going above and beyond this already high standard. He said the only real standard for this kind of equipment in the market is the approval of TfL. Henry certainly believes Timepsace’s V400 DVR (digital video recorder) meets the requirements. The device can store up to 240 hours of footage. It now supports HD IP cameras, which represents a ‘real step change’ in image quality, providing images that are as good as some of the highest specification modern cameras. New software has been implemented in it, which protects against power isolation ensuring that if the power is cut off, the hard drive is not damaged. Another added feature is the integration with the Bridgeclear low bridge system, enabling the DVR’s use to provide alerts when a vehicle approaches a bridge that may not have the clearance for a double decker to go under. Another supplier of Timespace Technology equipment is Cyberlyne Communications Ltd. The brand is amongst the company’s varied array of other CCTV equipment. Its range of DS8000 recorders use a proprietary format designed by HikVision called D-CIF. This is designed to give less artefacting (distortion in images due to insufficient processing), smaller file sizes and sharper images. It records all channels at 25 frames per second in all resolutions. The DS8000 range is primarily designed to not only record but to stream video footage over a network, be it wired or wireless. The company works with its supply partners to develop its systems year on year. IP systems are now being increasingly requested by 21st Century Technology customers. This standard of camera can typically monitor a greater area and with higher resolution, enabling images to be zoomed into during playback. The company says this allows the customer to install less cameras on a single vehicle. In terms of recording data, Mark said new options such as Solid State Drives (SSD) are available, together with smaller SD cards. However, the cost is proportionally higher to the equivalent Hard Disc (HDD). According to Mark, remote monitoring solutions are now an integral part to most video management systems and allow the video download requester to see in advance what video is available and if all cameras are operating correctly. As part of 21st Century’s solutions, these monitoring systems operate remotely using local depot Wi-Fi or 3G/4G networks to send and receive data. The length of time footage must be kept is dependent on the laws and regulation in the locality of which a bus or coach company is operating. For example, TfL requires that each vehicle must be capable of storing at least ten days’ recordings onboard. This is a capacity that 21st Century is often able to exceed. In Sweden, for example, this is three days and video has to be encrypted on the HDD. In the UK, members of the public have up to three years to make a claim for a personal injury, so Mark says it is important that drivers report incidents and allow footage to be downloaded. Mark said, typically coach systems will comprise fewer cameras than bus systems. The latter has more key areas to cover, such as each door, outside, stairs and wheelchair areas. Coach systems are, therefore, usually sub-eight camera systems. What you have to make available to the police varies from region to region, according to Mark. 21st Century Technology has seen its customers liaise directly with local police forces in order to construct an evidence pack. Typically this can include an encrypted evidence disc, an audit trail and a storyboard of still images. Essentially, a CCTV system should provide good reliability, according to Mark. 21st Century ensures its products are reliable through its maintenance schedule. Ensuring it is of good quality is important, which the company achieves by working with the customer to provide the best possible system in the first place. Flexibility is key too, with the company increasingly looking for ways to integrate all the electronic and digital technologies installed on fleets. Synectics is now installing cameras at HD quality, so up to 1080p. Technology Director at Synectics, Daniel Jackson, suggested hybrid DVRs can be introduced gradually on a vehicle, starting with the most critical areas. To ensure reliable, fail-safe storage of footage on a moving vehicle, Daniel suggests a rugged onboard recorder with fail-over protection. 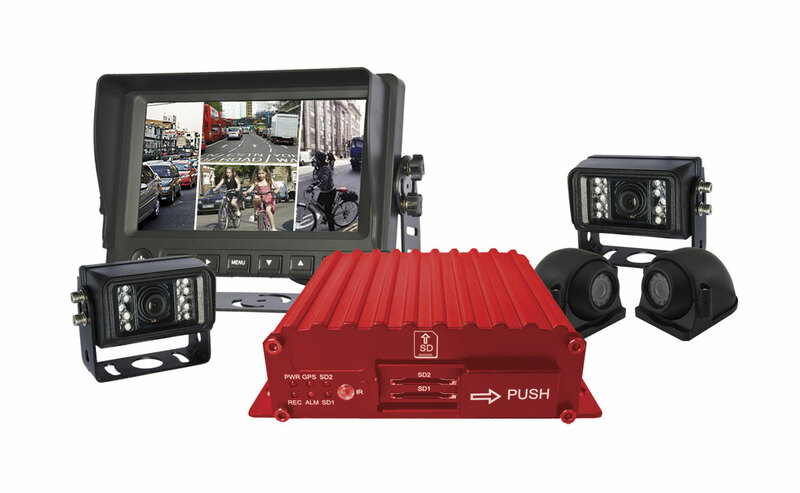 The moments when a mobile CCTV system is needed the most are often also moments of intense physical strain on the hardware (such as in a crash), so storage devices have to be able to cope with that. As well as coaches tending to have fewer cameras onboard than buses, Daniel said one of the differences is the types of incident encountered by PCVs. For example, Daniel claims that on long coaches, rear flank cameras that face towards the very bottom corner of the vehicle and can be switched to the drivers’ monitor can prevent some of the most common accidents and collisions coaches are involved in. In the event of an incident where the police need to be involved, Daniel said the law typically requires three copies of the footage to be made. They use ‘working copies’ to review and sealed ‘golden copies’ to present as evidence later. However, police requests can often be for cases not relevant to the operator, so a lot of the work is done on a goodwill basis. According to Daniel, an efficient process for footage search and retrieval can be very valuable here and modern technology makes it a lot easier to help the police. Features such as ‘geo-fencing’ allow users to quickly download relevant footage, taking away the need to trawl through footage vehicle by vehicle to compile evidence relevant to an event. 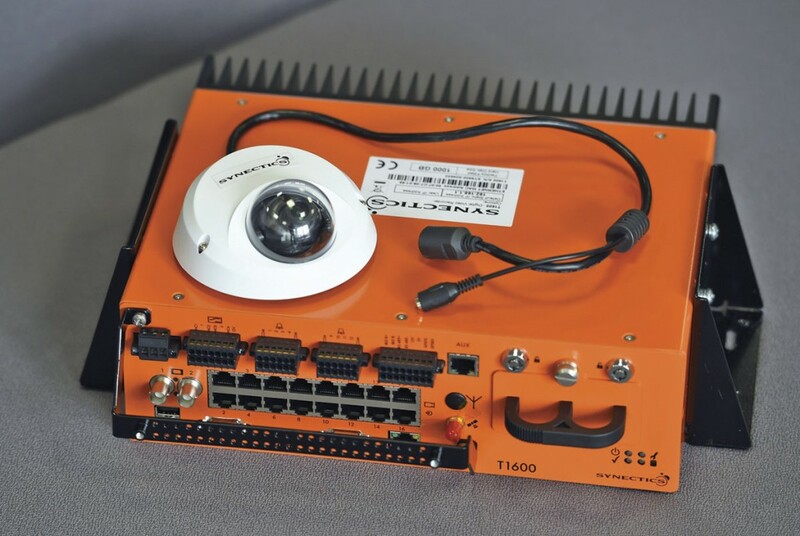 Storetech CCTV provides the latest in IP standard HD cameras, a technology Jess Johns from the company believes is to be increasingly adopted in the industry. He has noticed the industry now uses surveillance cameras extensively, it is recognised as a proven method of thwarting fraudulent claims and saving money. The next step is to increase their performance and he believes the uptake of IP will be part of that. However, he thinks it will be a slow process. Jess believes one of the best developments in camera technology of late is WDR (wide dynamic range), which records details better, creating better definition of shadow and highlights. It is also working on a better exterior mounted camera, which is designed to be wedge shaped. What is essential for a CCTV system, according to Jess, is they are tested to the highest of standards. This is something his company does, carrying out shock, vibration and salt spray tests. Well up to the task of recording transport footage is the range form Samsung Techwin, the security camera arm of Samsung. 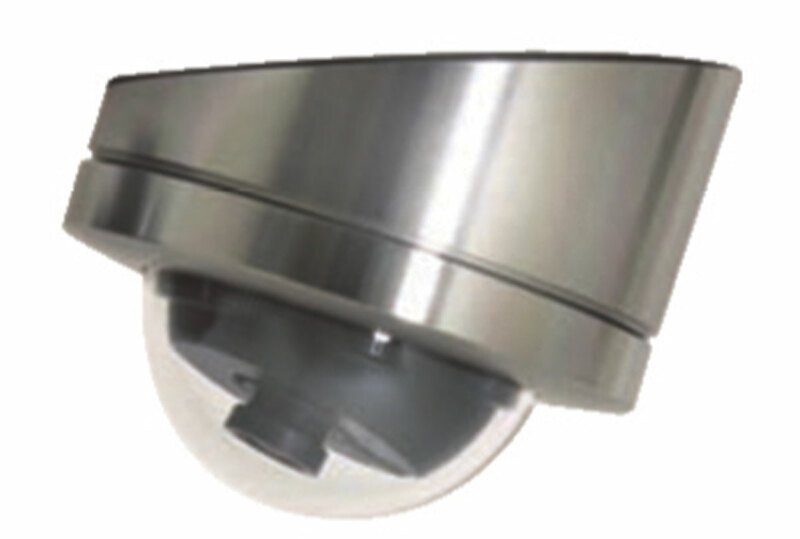 In particular, the company’s SNF-7010VM fish eye camera is one product suitable for the bus and coach market. It provides a 360-degree view. 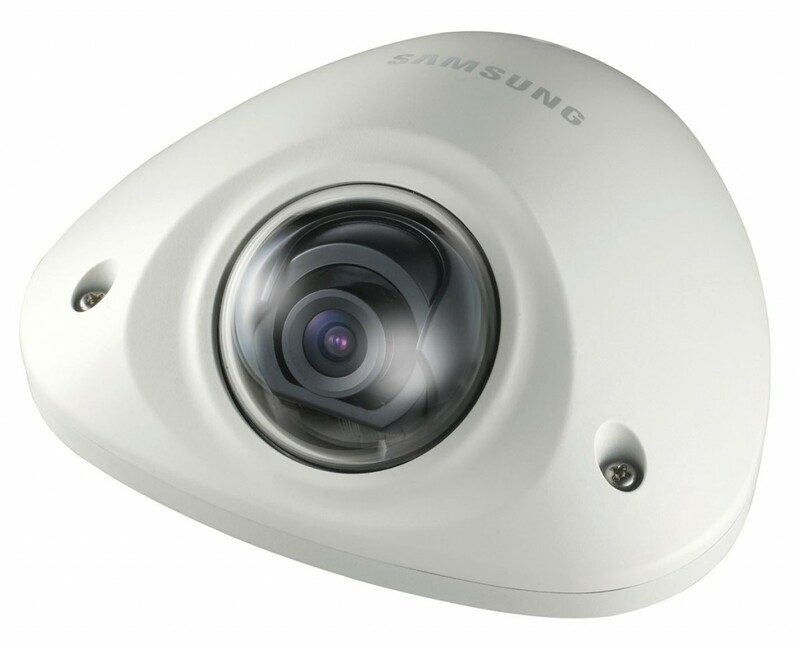 Samsung Techwin also offers the SNV-6012Mfull HD dome camera. It has full HD support and records in both day and night conditions. These cameras can be connected to the company’s SRM-872 mobile network video recorder. This device has GPS data recording support and a built-in heater that kicks in at low temperatures to ensure optimum efficiency. Having ‘plug and play’ systems is something Centrad sees as important for the market, with its own products providing this facility. The company also has a G-sensor system, which detects impacts and automatically saves footage surrounding that event. More coverage of vehicles is something Centrad is seeing more of, having experienced increases in the amount of eight camera systems it has sold for single deckers. Recording audio is also sought after too and other similar devices, such as reversing cameras, can also be supplied. This latter equipment can be integrated with a CCTV system. In general, Centrad’s MD, Geoff Cross, said operator’s perception of CCTV is changing. A survey of its customers found the return on investment for its systems was as little as 32 weeks. It aims to make its products as accessibly priced as possible. 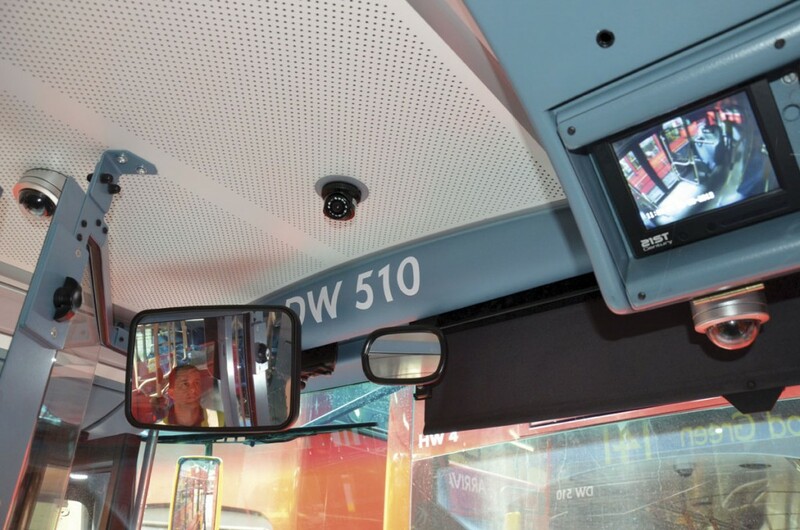 One trend in PCV CCTV that David Cummings, Director at Transport Technology Services, has noticed recently is the wider instalment of cameras on coaches. He said vehicles with these cameras are most likely to be used to monitor the outside of the vehicle rather than viewing it internally. The company provides a wide range of CCTV equipment amongst other technology for the transport market. Two levels of CCTV are offered in Actia’s BOP range. These are part of the company’s integrated systems group of products, which can be integrated with the rest of its onboard vehicle electronics and telematics. Integration is a key offering from Actia, and something it sees as an important part of a CCTV system. It allows the combining of remote incident alarm and fault detection, as well as connectivity to its dashboard information TFT screen. Actia’s solution can interface with the vehicle’s onboard electrical architecture. The company’s BOP HD DVD quality product records at 25 frames per second and has an electro-magnetic lock for data security. It can be fitted with hard drives ranging from 500Gb to 2TB. 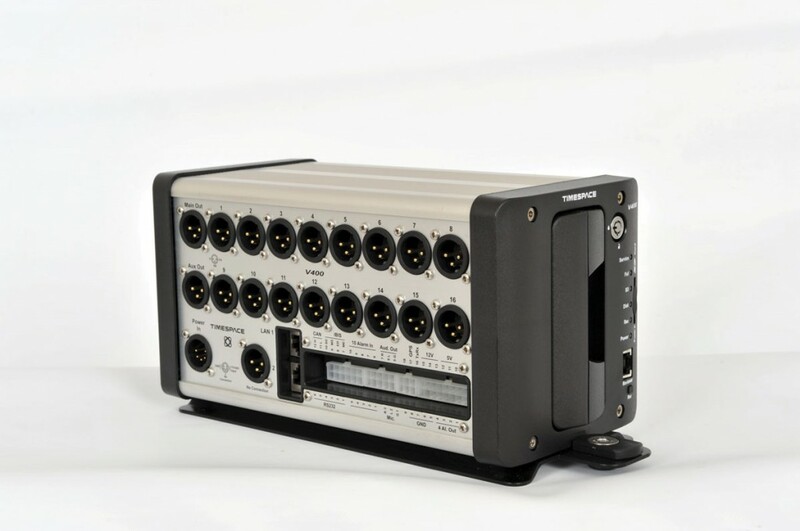 Its systems are also able to incorporate audio recording. An alarm function can be included in the solution, which prevents the wiping of 15 minutes of the footage before and after it was engaged. Vision Techniques provides a whole suite of camera systems, from front mounted cameras for catching accidents and other incidents on the roads to 360degree cameras for an all round view of a vehicle. It has these for a range of different vehicles and applications. Vision Technique’s front facing cameras record to full HD quality, with the majority fully water and dust proof. Some of the equipment has a self cleaning function, using an in-built jet wash system to clean the lens. For recording at night, it has infrared night-vision models available. Marketing Manager, Dominic Benabda, said Vision Techniques ‘has a giant range of options, offering something for every price range’. Its memory card options can provide anywhere from a few hours of recording to a few days. Some of its systems have a function whereby the footage will overwrite from the beginning once it has gone over a certain amount of time recording. However, they feature a G-sensor that picks up any impacts and in the event of these will register and save the footage surrounding the impact in a separate folder that will not get overwritten. One of the most important aspects of recording security footage is that it must be time, date and GPS linked, according to Dominic. Otherwise it is not viable to use as evidence. ‘Everything we do is time and location stamped,’ he said. At the top end of Vision Technique’s range of systems is the VT Live, which streams live footage from surveillance cameras online. Users log into the online Cloud based system and can watch from any camera device that is hooked up to it. In terms of what sort of system is required, Dominic said it depends on what you want to get out of the system. He said Wi-Fi enabled equipment proves popular with municipal companies. However, he said recording onto a DVR is fine and should cover all needs. To ensure it meets insurance companies’ stipulations for it to gain discounts to premiums, it must be time, date and location stamped. In addition to camera systems, Vision Techniques also provides cycle detection systems and safety signs. Bradford based Autosound has been offering CCTV cameras for a few years now. Its own branded ‘entry level’ equipment has established a niche market with smaller independents. The company’s Sales Director, Lee Fergus, said the number of cameras customers specify has increased, with every possible viewing angle both internally and externally being requested. However, an area it has now entered into is forward facing cameras. It has released the exPress Pro digital video recorder. As well as recording travel, the system can be used for monitoring with an integrated WLAN module. This enables the footage to be viewed live using an app on a smartphone or tablet. Up to four cameras can be connected, offering this many live views. It records in 1296P Super HD quality and has the Ambarella A7 chip, which is designed to provide superb pictures in both day and night conditions. It is equipped with a 160 degree wide angle lens to pick up a wider view. All recordings are stored as MP4 files via a 64GB memory card. A number of mounting and charging accessories are also available. ‘As long as a camera can pick up the colour of the car and the number plate, then it should be acceptable to use in court’, according to Roadhawk’s Cris Hayden. His company’s products do this and more, providing from 1080P HD to 480P HD. Like some other systems on the market, these products come with an SD memory card for recording footage which have G-sensors that pick up impacts and save footage during the time of the collision. Quite a few companies use Roadhawk forward facing camera systems for driver training, according to Cris. The footage can be played back and used as instructional videos for employees. In terms of how long you should save the recordings, Cris reports that some of his customers are getting accident claims against them up to a month after the event. As such, it would appear it is worth keeping the footage for at least this amount of time. Cris said insurance discounts differ, it can be in the region of 10% to 15% for a dash mounted camera. An essential to keep in mind when purchasing this sort of equipment, he says, is to make sure it fits in with DVSA regulations. He reminds readers that you cannot have anything descend over 4mm into the sweep of the windscreen, so it needs to be small. It also needs to be able to record for a long time. He claims Roadhawk’s card is the only on the market that has 128gb of memory. iPixi have a number of different forward facing and other forms of cameras available. 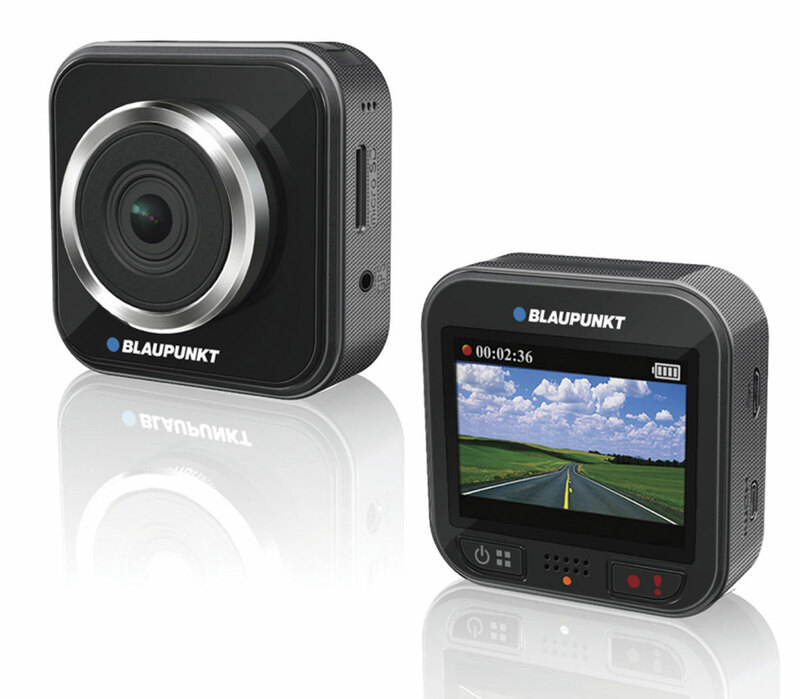 Its products are able to record in 720P HD to 1080P HD. Support Adviser at iPixi, Robert Leahy, said footage from all of these products would be acceptable in court, but obviously the higher the quality of image the better in terms of what it can prove. He said his HD cameras are able to record number plates even at acute angles. The footage can be downloaded onto a PC for viewing or copying into another format, such as into an MP4, which Robert says is a very common video file. He added that when the card gets full, it only overwrites short clips, so vast swathes of footage will not be lost. iPixi cameras can have a shock sensor built in, which detects impacts and segregates 16 seconds of footage before the accident from being overwritten. The footage can be handed over to police either stored on an SD card or via e-mail. Robert said to make sure you are getting the insurance discounts these cameras can get. Adrian Flux and JCB Insurance Services are two that offer such discounts. As many in this article have said, ‘quality’ is a must when purchasing cameras, according to Robert. ‘Don’t be fooled by cheaper models on the market, they’re not good enough to rely on,’ he said. He believes having various recording options is a must too. Integrating forward facing cameras into wider systems is an important aspect for Intelligent Telematics. 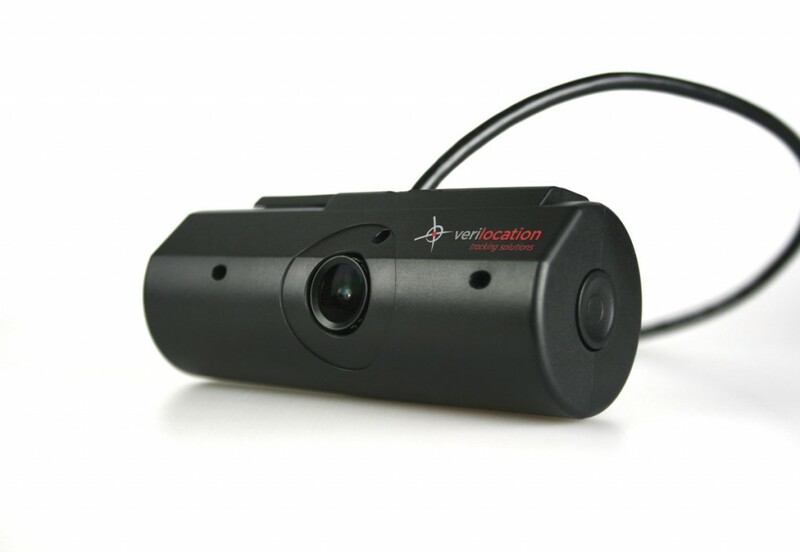 The company offers its IT1000 3G Vehicle Camera, which is provided with a vehicle tracking system. The software provides staged levels of authorised access, allowing control of data output. It enables telematics data collection as well as video footage, including live GPS tracking, speed and G-Force measurements. When a high G-force bump is detected, an alert is sent by SMS/email notifying of the incident and the video footage is sent directly to the tracking system’s server. Access to the server can be gained in minutes after the incident. When a ‘medium or low’ G-force collision is registered, an alert is sent by SMS/email notifying of this. Intelligent Telematics provides this package with a three-year warranty and access to its vehicle tracking website. It also allows users to get into the company’s claims upload server, where videos can be installed for insurance claims. It records in full HD video, with the systems storing ‘low’ and ‘medium’ events with the capability of uploading the footage. Speed, GPS position and G-Force data is frequently sent to a designated server via 3G. The cameras can be remotely configured and upgraded. As evident here, CCTV and camera systems involve a lot of technology that is constantly developing. It shows the companies involved with it are continuing to invest in the technology that provides savings, helps lower insurance premiums and foils fraudulent claims.